Mattie Hatcher is in the winner's circle with Cristiano for their win in the $25,000 Brownland Grand Prix at the Brownland Autumn Country Show. 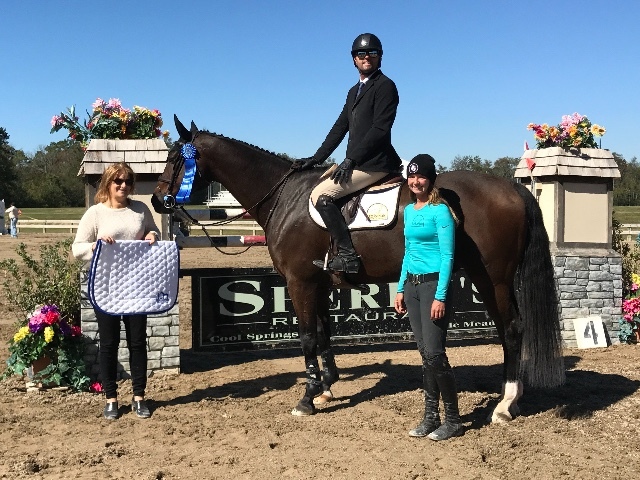 Franklin, TN - October 23, 2017- Michael Tokaruk and his team of riders at Tokaruk Show Stables, Collierville, Tennessee, took the jumper divisions by storm at the Brownland Autumn Country Horse Show, including the $25,000 Brownland Grand Prix. 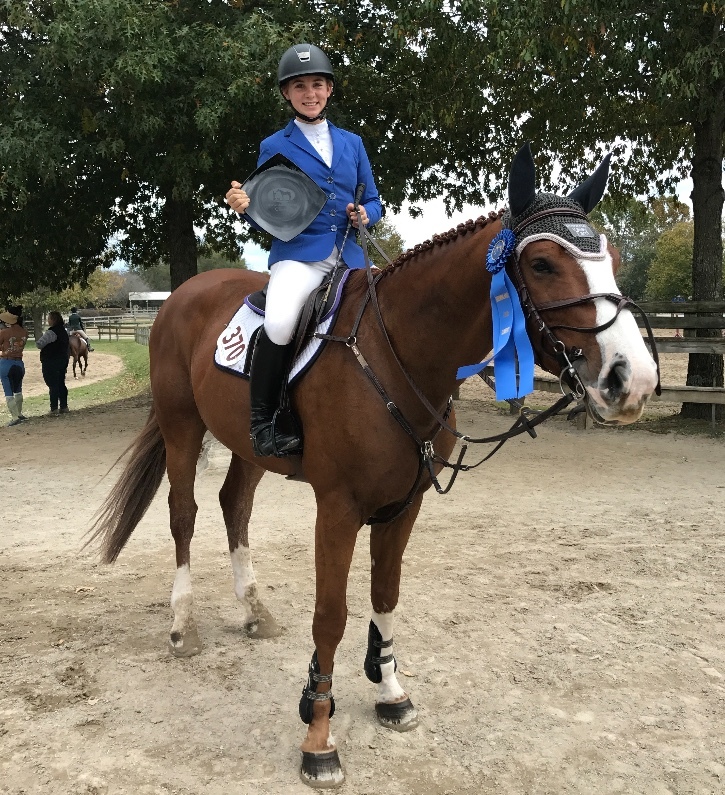 Rider Mattie Hatcher, 16, stole the show, winning the grand prix on her Cristiano, who made his grand prix debut this past week. The eight-year-old Swedish warmblood has been working his way up the divisions with wins in the Medium Junior/Amateur Jumpers at Summer in the Rockies, Champion in the Junior Jumpers at Equifest in Chicago and an 11th place finish at the Split Rock Jumping Tour in the 1.40m High Junior/Amateur Final. 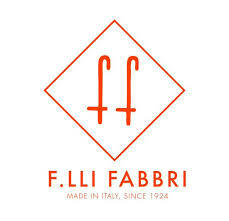 "It was so incredibly fun! I've been wanting to win one forever and ever and always thought as a little girl about my first win!" said Hatcher. "I just went out there in the jump off and was smiling so big because I was thinking about how far I've come! I was just excited to go fast too, that's my favorite part! 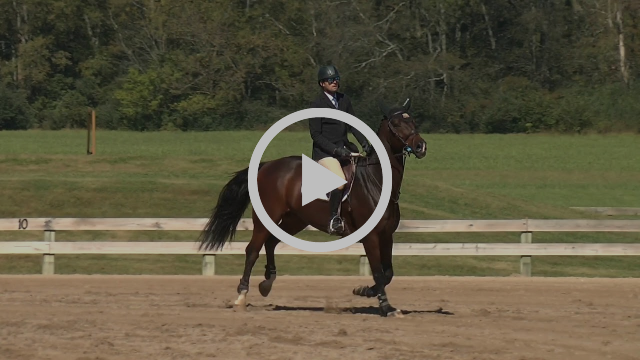 It was his first GP and about my 5th class on him at 1.40m. He's so game though and puts up with anything and I can't wait for many more wins on him!" If that weren’t enough, Hatcher also took the third place spot on her horse, Hands Free and was 11th on her NAJYRC mount, Cumana. Tokaruk snuck into 5th place on Alex Turner’s Vanrock. Hatcher, along with her mother, Lee, have their horses at home in Little Rock, Arkansas, where Hatcher attends High School at Pulaski Academy. They frequently meet up with Tokaruk at the shows and he travels to their farm twice a month to help them school the horses. Hatcher also juggles time with soccer and basketball to fit in her riding time. She qualified for the NAJYRC Championships this year on Cumana, and pulled off the Team Gold Medal for Zone 7 with her teammates. Hatcher and Cumana earned the blue in the Med/High Junior/Amateur Classic. Hatcher was on a winning streak all week, winning the Medium/High Classic on Cumana, who also placed 7th in the $5,000 Welcome stake. Hatcher's mother, Lee, won in the Low Junior/Amateur Jumpers on Amicelli. Michael Tokaruk and Ilan won the $5,000 Welcome Stake. Tokaruk took the win the $5,000 Welcome Stake with Maarten Hugyens’ Ilan. 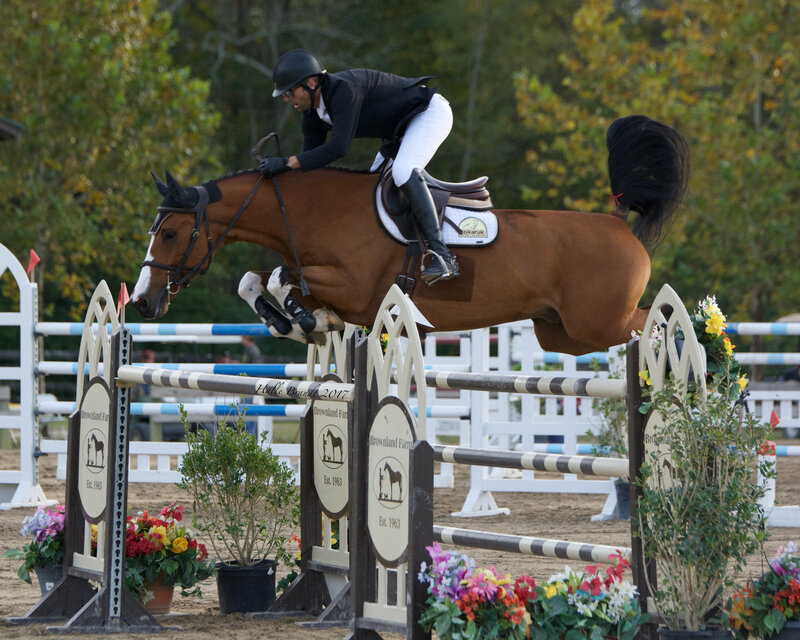 The 9-year-old, Belgian warmblood won the $25,000 Brownland Fall Grand Prix last month. 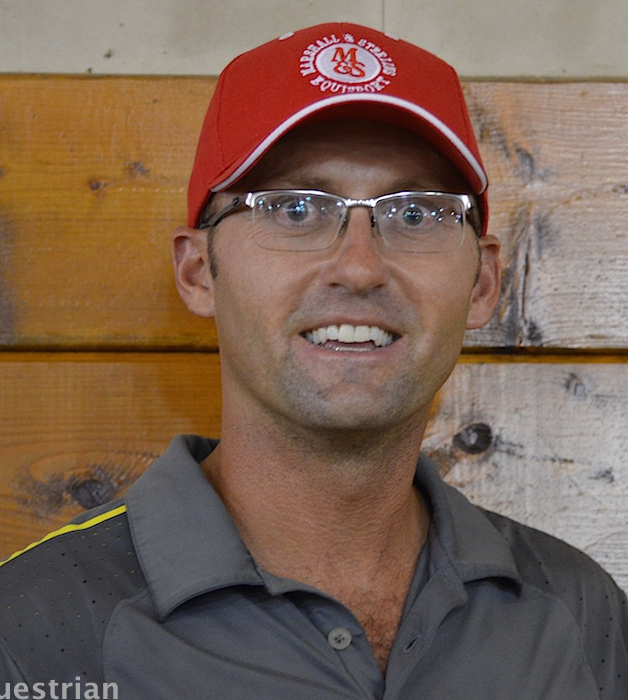 Tokaruk also placed 4th in the Welcome Stake with Hatcher’s Cristiano and 10th with Turner’s Vanrock. “Thank you to owner Maarten Hugyens and to Richard Watson for helping me improve our turns for the win,” laughed Tokaruk, after listening to some pointers from the team that paid off. Michael Tokaruk and Vanrock. Photo Halle Brandt. 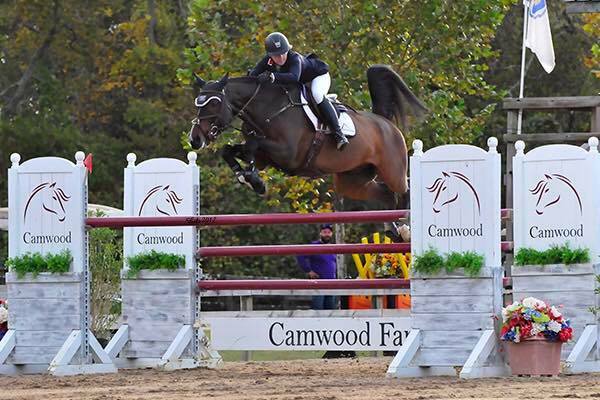 Tokaruk rode Cassie Kime’s Tenacious D to a win in the 1.20m jumpers earlier in the week. 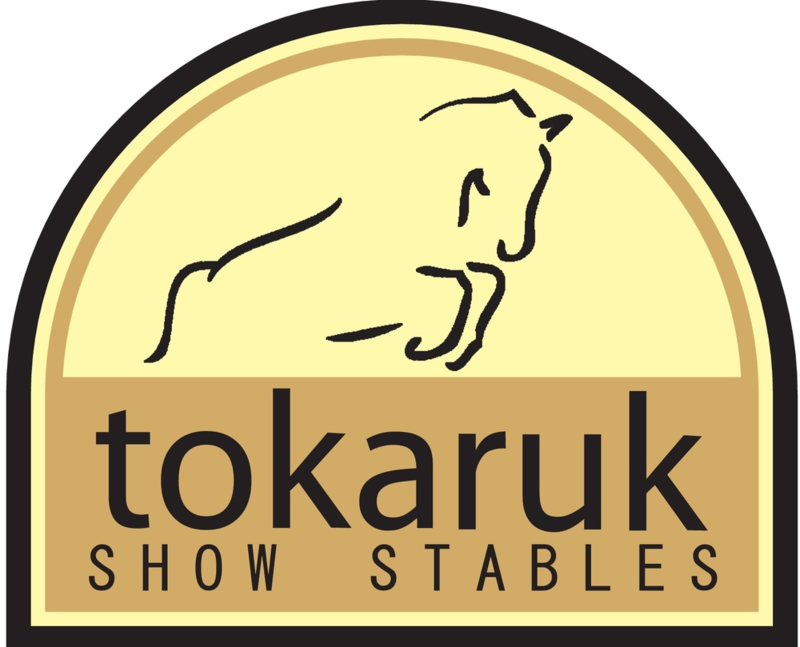 Tokaruk heads to the Tryon International Equestrian Center next for two weeks of showing there. Michael Tokaruk and Ilan in the $5,000 Welcome Stake for the win.